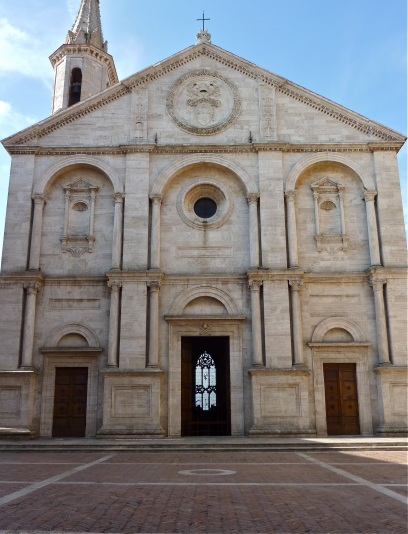 Aeneas Sylvius Piccolomini, inaugurated the new cathedral in his rebuilt renaissance town of Pienza. We still admire his works over five centuries later, strolling through his piazza -- one of the most beautiful in Italy, and one of the most complete: a little world of its own. What if we could we see the pope’s works through renaissance eyes? Most of us today require more time and consideration, or more clues, to appreciate the spiritual significances and metaphors or visual puns embodied in the material cathedral and its facade artistry, as they preside over the pope’s piazza. Yet the clues are there. 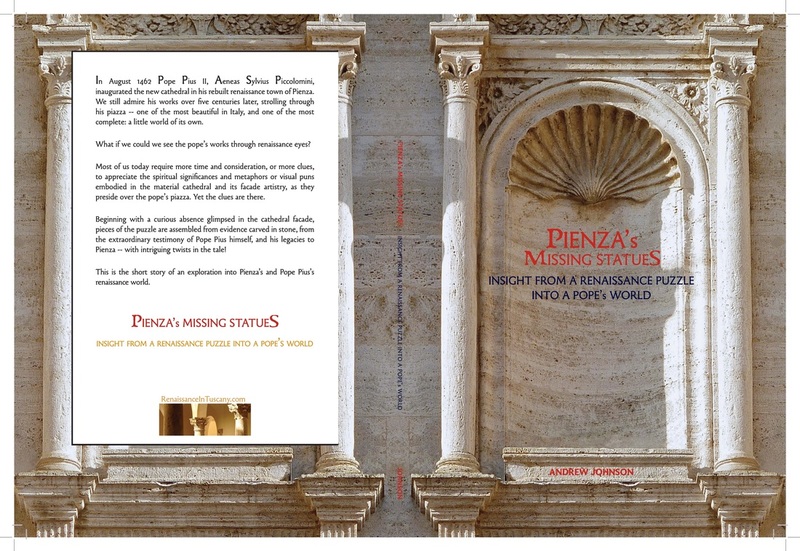 Beginning with a mysterious absence glimpsed in the cathedral facade, pieces of a puzzle are assembled from evidence carved in stone, from the extraordinary testimony of Pope Pius himself, and his legacies to Pienza -- with intriguing twists in the tale! This is the short story of an exploration into Pienza’s and Pope Pius’s renaissance world. And for more from the book here and here.